For your information, I really love to run. In fact, every month we make it a point to join running events held in The Fort. 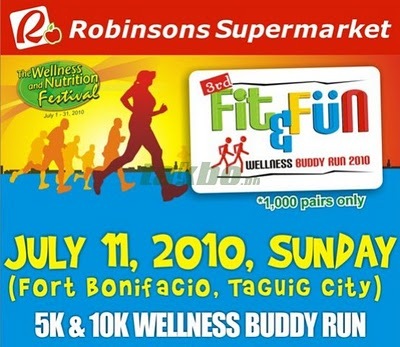 So yesterday, together with my running mates we participate in the most awaiting run; the Robinson's 3rd Fit and Buddy Run. Last year, we joined in this running event and we really enjoy it not only for the freebies they are given away but also it is a buddy run where 2 people must run and finish together. Ian is my buddy in this event, however due to his medical condition he wasn't able to come with me so I asked my sister if she could replaced Ian as my buddy. Thank God because she grant my request. The organizer of this affair is excellent. The place was organized, the booth, the freebies, loot bags as well as their baggage area compare to Milo Marathon. 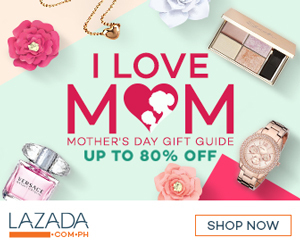 There are lots of freebies in the area; Gardenia products, Rexona, Anlene, Gatorade, etc. You already get what you were given away from the registration fee which cost Php 600.00/pair. This event is open to all couples, friends, sisters, brothers best friends and relatives on the run that aim for wellness on their health. The winners for 5km run will received trip to Bohol while trip to Palawan for 10km run. The 10km race started around 5:30am while 5km starts around 6am. So before we start, we take lots of pictures. I left my sister to run on her own, I told JM that I will be waiting for her before the finish line since there is no individual runner will be timed at the finish line. I finished 5km in 38 minutes but since I need to wait for her, our official time is 51:01.2. I promised myself to try 10km by August but still I need to practice more. After the race, we take this opportunity to catch photos with my fellow running mates. Unfortunately, I wasn't able to take photos with Coach Rio but it's okay because I have my solo picture with Rovilson Fernandez, the new host in all-new season of "Ang Pinaka" in QTV11. After our run, we opted to have breakfast at Jollibee. I also invited my college friend who also joined in this event to come with us. So are you curious what's inside the loot bag? Here they are!